Scientific flash - N° 2 - Please don't say that coal is a mineral - ¿What that hell is a mineral? I hope you are all doing well! 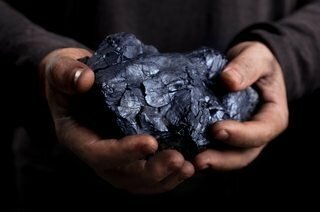 :D.
What a beautiful coal <3, ¿isn't it? 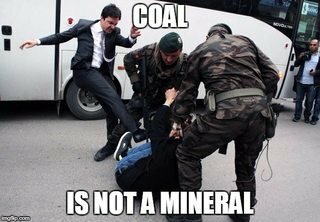 Therefore coal can't be called mineral, because their origin is related by organic process. Another example that I bring is related to obsidian or volcanic glass, which is wrongly called mineral, because this material is also a rock. In this case, the reason that obsidian doesn't fit in the definition of mineral is because this one doesn't has a molecular structure defined, so it lacks of a crystalline structure; in addition, its composition is too complex to has a definite chemical composition. I really hope that you enjoyed this post!